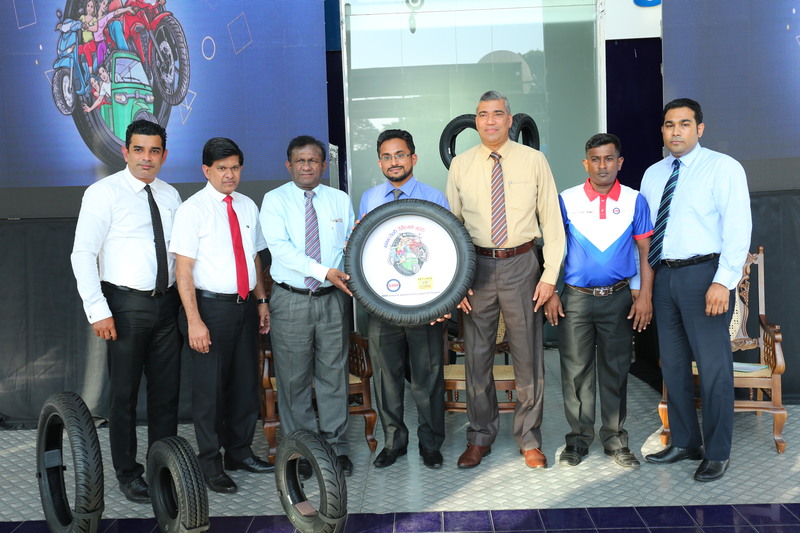 Expressing his views about the partnership, Lasantha Wijeweera – Director Manufacturing stated, “If you look at the number of accidents that take place around the country each year, statistics have shown that a majority of them can be attributed to 3-wheelers, motorcycles and scooters. While these are the main modes of transport for the general public, there hasn’t been enough focus on enhancing the safety of these vehicles. This partnership with the market leader in the Sri Lankan Insurance industry, Ceylinco General Insurance will provide these customers a safety net through an innovative insurance cover as they go about their daily lives. We believe that, through AMW tyres, the users of these types of vehicles will be able to enjoy a safer ride as AMW tyres are specially designed with safety in mind in order to minimize the risk of accidents.” He added that AMW cares for the well-being of the customer and offered services and support well beyond the initial sale. “By introducing a high-quality product backed by the expertise of a giant like AMW and by tying up with a Sri Lanka’s insurance giant, Ceylinco General Insurance, we are setting the platform for our valued customers to receive the best possible care when travelling with their families and friends,” he added.